Online ordering menu for Triple Crown Chinese Restaurant. 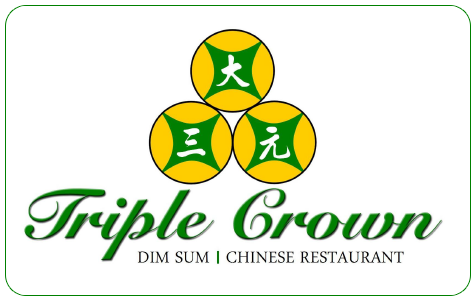 The Triple Crown is the BEST place to get authentic Dim Sum & Cantonese cuisine in Chicago! Just north of U.S. Cellular Field, home of the Chicago White Soxs, on the corner of W Cermak RD and S Wentworth Ave. Guess what? We're open until midnight Sunday-Thursday and on Friday's and Saturday's were open until 2am! Who says you can't get great Cantonese at 2am? We sure don't. See you soon at the Triple Crown. Did we mention we serve our Dim Sum until 3pm every day? Come have a taste of the Triple Crown.